Next month is the 90th anniversary of a great event. 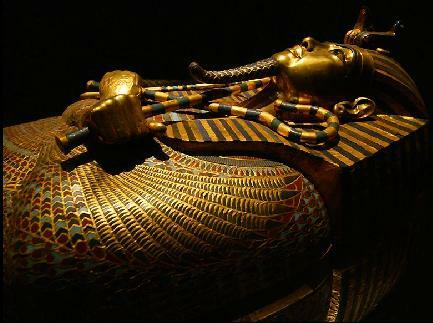 In November 1922, Howard Carter uncovered an ancient Egyptian tomb that had lain nearly undisturbed for over 3000 years, the tomb of Tutankhamun which revealed to the world many “wonderful things”, as Carter said on his first peek inside. Nature Travel can show you the treasures from the tomb which are in Cairo, and the tomb where the Pharaoh’s body still rests, in the Valley of the Kings, Luxor. Anyone interested in Egyptology should take a look at the Facebook page of The Griffith Institute – University of Oxford, for photos of objects from the tomb taken following its opening. The photos are copyright protected so we cannot reproduce them here, but it is worth clicking http://www.facebook.com/griffithinstitute?ref=ts&fref=ts to see these many fascinating images. 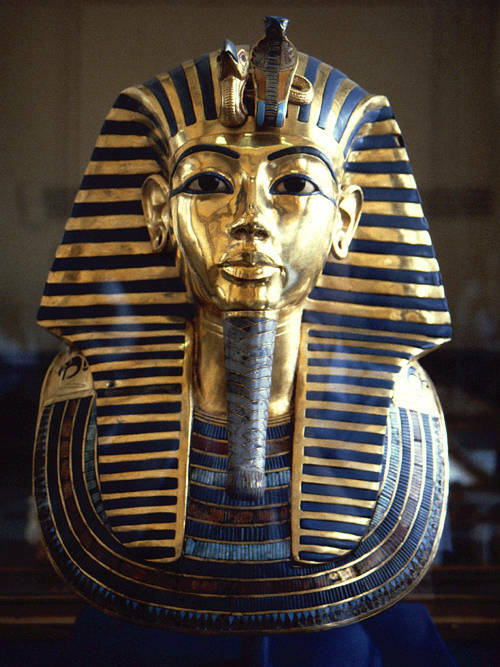 Included is a photograph of the famous mask of the Pharaoh you see above, but as it appeared when still attached to the mummy of the Pharaoh. This entry was posted in EVENTS, HISTORY, SPECIAL EXPERIENCES. Bookmark the permalink.